The poll body has asked the Railway Ministry to file a reply by today evening for alleged violation of the model code of conduct. The photo of "Main Bhi Chowkidar"-taglined cups went viral on social media. 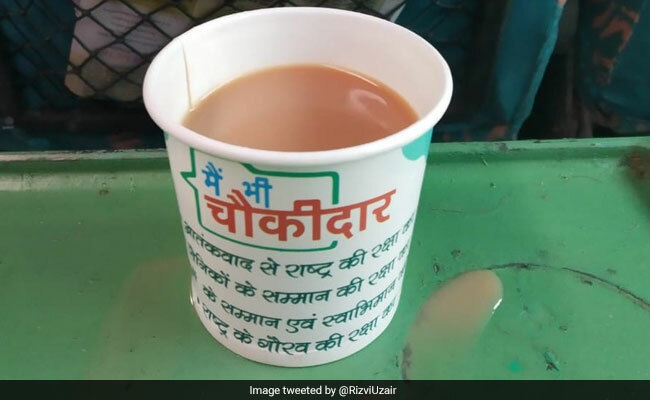 The Election Commission of India has served notice to the Ministry of Railways after social media users reported that tea was being served on a Shatabdi train in paper cups with PM Modi's campaign line, "Main Bhi Chowkidar (I'm also watchman)", printed on them, news agency ANI reported. After the photo of "Main Bhi Chowkidar"-taglined cups went viral on social media, the railways withdrew the glasses and penalised the contractor by imposing a fine of Rs 1 lakh. The railways also said that it was an "unintentional and inadvertent mistake". "Reports that tea has been served in cups labelled as "Main Bhi Chowkidar" have been investigated. This was without any prior approval of IRCTC. Explanation has been sought from supervisor/pantry in-charges over dereliction of duty," an IRCTC(Indian Railway Catering and Tourism Corporation) spokesperson had told news agency PTI. It was also claimed that tea was served in these cups twice. 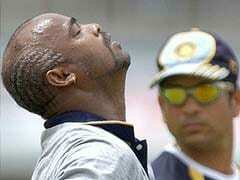 The advertisement on the cup was of an NGO called Sankalp Foundation. The Election Commission Of India has also sent a notice to Ministry of Civil Aviation after Prime Minister Narendra Modi's picture was seen on boarding passes of Air India. The Civil Aviation Ministry too has been asked to file a reply by Saturday. Recently, the railways withdrew tickets with photos of the Prime Minister after Trinamool complained the Election Commission about them.